Associate Professor Tomoko Aoyama’s research interests include modern and contemporary Japanese literature (anti-naturalist movement circa 1910, parody, Russo-Japanese War literature, literary daughters, food in literature) and Japanese girls' manga. Her current research project concerns older women's humour in contemporary Japanese literature, film and theatre. She has published an award winning monograph on food and eating in modern/contemporary Japanese literature (including cannibalism, gastronomic novel, food diaries, and food and gender) and a number of journal articles and book chapters on modern and contemporary Japanese literature and girls' manga. She has also co-edited two books, and guest edited special issues of Asian Studies Review, Japanese Studies, and US-Japan Women's Journal. She has been active in literary and scholarly translations in conjunction with various research projects. 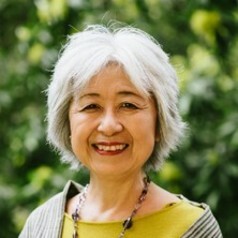 She is on the Japanese Studies (Japanese Studies Association of Australia) editorial advisory board.